1. Eight is the magic number. Fact: There’s nothing special about that exact number, it’s just an average. “Everyone has different sleep needs, and you’ll know you’re getting enough when you don’t feel like nodding off in a boring situation in the afternoon,” says New York University psychologist Joyce Walsleben, Ph.D., co-author of A Woman’s Guide to Sleep. How to beat it: Listen to your body. If you’re constantly reaching for snacks or need an afternoon caffeine jolt–go to bed earlier. Your body is craving other ways to stay alert via sugar and caffeine. As an added bonus, you’ll be amazed at the weight lost when you start getting the proper amount of rest. In fact, according to a Harvard Nurses’ Health Study, women who slept five hours or less a night were a third more likely to gain 33 pounds or more over 16 years than women who slept seven hours. 2. You can make up for lost sleep on weekends. Fact: Sleep binging on the weekend and forgoing sleep during the week upsets your circadian rhythms and make it more difficult to get into a deep sleep state. So instead of making up for the past sleepless week, you set yourself up to fail for the week to come. “The body loves consistency,” says Donna Arand, Ph.D., spokeswoman for the American Academy of Sleep Medicine. How to beat it: Try and wake up and go to bed at the same time every day–even on weekends. Like everything else in life, the key here is balance. A couple hours difference probably won’t make a huge impact, but don’t sleep in until the afternoon. 3. Some peoples’ bodies only need a few hours of sleep. Fact: Despite the legendary stories we’ve all heard about Di Vinci only sleeping four hours a night, too little sleep is bad for your health and your happiness. It can impair performance, judgment, the ability to take in new information, weaken your immune system, and can contribute to weight gain. How to beat it: If you don’t feel drowsy within 20 minutes of lying down, get up and do something that is not too active until you feel sleepy. Then try going back to bed. Avoid caffeine, nicotine, and alcohol after 8 p.m. on weekends and 6 p.m. on weekdays. 4. You need to be on medication if you have chronic insomnia. Fact: Sleeping medication is designed to be used solely for short term sleep disorders such as travel adjustment or a stressful incident. 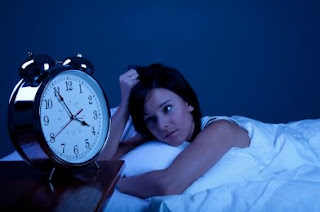 People who suffer from insomnia benefit more greatly through behavioral changes and cognitive therapy, such as learning better sleeping habits. How to beat it: Look into Cognitive Behavior Therapy (CBT). “People think there’s something wrong with them if they wake up in the middle of the night, so when it happens, they look at the clock and start to worry, which prevents them from getting back to sleep,” says CBT therapist Dan Walsleben in a recent MSNBC article. “A therapist would explain that sleep is made up of both deep and light phases, and it can be perfectly normal to awaken every 90 minutes or so. Instead of worrying, we tell patients to congratulate themselves for sleeping so normally and let their bodies drift off again,” Walsleben says. 5. The older you are the less sleep you need. How to beat it: Just say no to naps. Studies show that seniors need just as much sleep as everyone else, they’re just getting it at different times. If you want to have a restful evening, try to avoid daytime naps, especially after 3 p.m.